Hamilton, N.S.W. : Hunter Singers, 2000. Can you hear me? / Brisbane Birralee Voices. Journeys / Young Voices of Melbourne ; directed by Mark O'Leary. 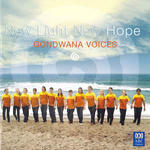 New light new hope / Gondwana Voices. Shall we dream? / the Sydney Children's Choir ; directed by Lyn Williams. Island songs : SA and piano version / by Stephen Leek. Monkey and turtle : for SSAA a cappella choir / Stephen Leek. Morning tide : [for SSA a cappella choir] / music: trad. ; arr. Stephen Leek. Morning tide : for SSAA choir acappella / Stephen Leek. 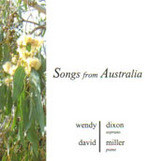 Songs from Australia / Wendy Dixon, soprano, David Miller, piano. Contents note: 1. Monkey and Turtle -- 2. Trade Winds -- 3. Morning Tide. 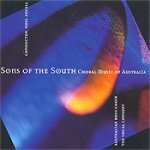 These songs have been composed as adaptations of traditional songs of the islands from the north of Australia. 21 Sep 2013: at Cross Sections (The Concourse, Chatswood). 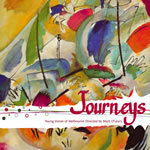 Featuring Sydney Chamber Choir, Paul Stanhope. 6 Jun 2011: at National Youth of Performing Arts Australia's International USA Tour (Disneyland). 1 Jun 2011: at National Youth of Performing Arts Australia's International USA Tour (Embassy of Australia, Washington DC). 5 Jun 2010: at The Listening Land (Berwick Masonic Hall). Featuring Da Capo Singers, Simon Loveless.